As you sow, so you reap… You are what you eat! 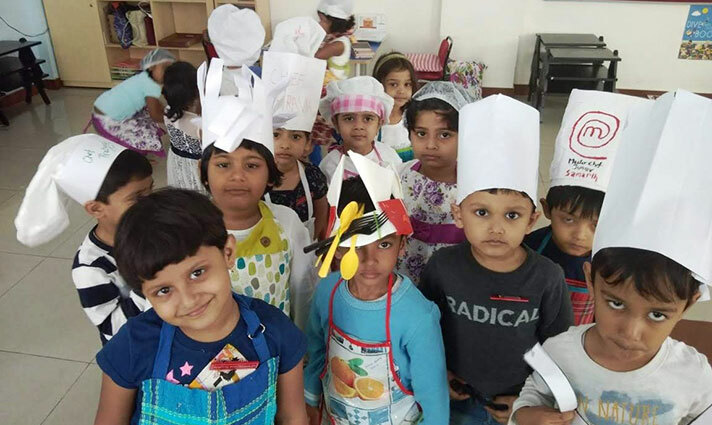 In an attempt to cultivate healthy eating habits at a very young age, a Montessori in-house event ‘Toss It Right’ was conducted on 20 July 2018. 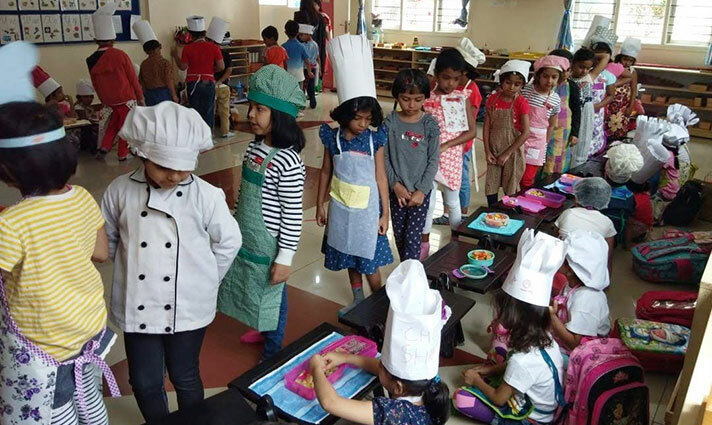 While the Beginners sang songs and watched videos on healthy food, the Juniors and Seniors all dressed as smart Master chefs brought salads made from home. 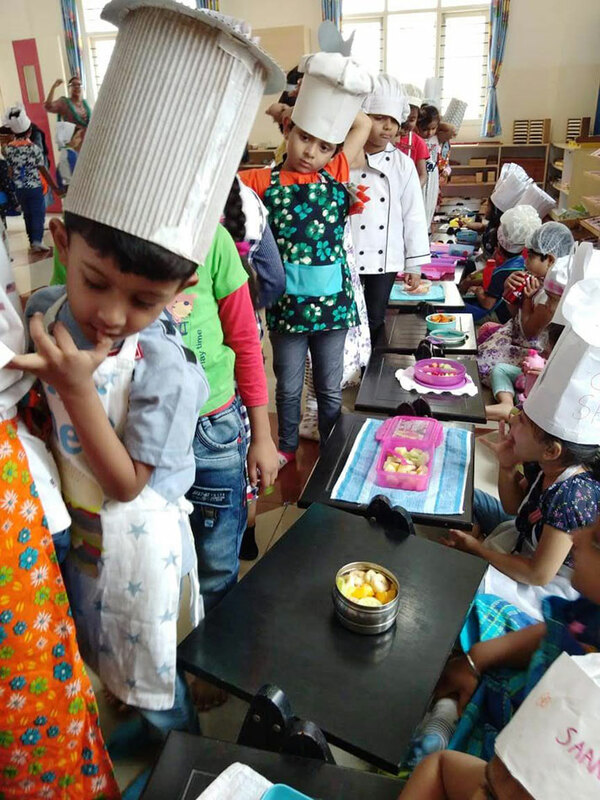 The core ingredients included fruits, vegetables and sprouts. 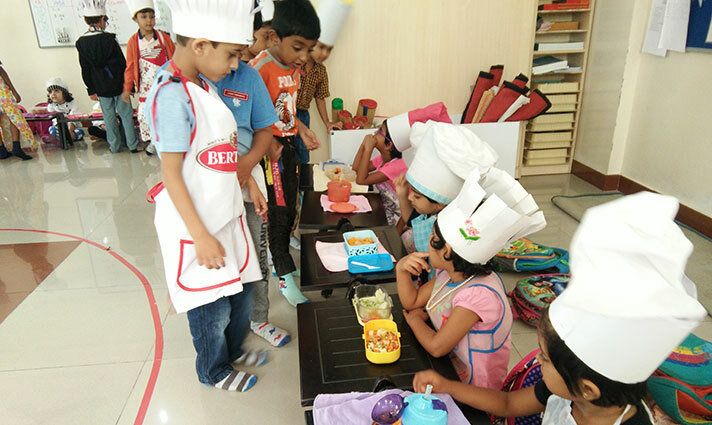 The children were involved in the preparation of their salad. 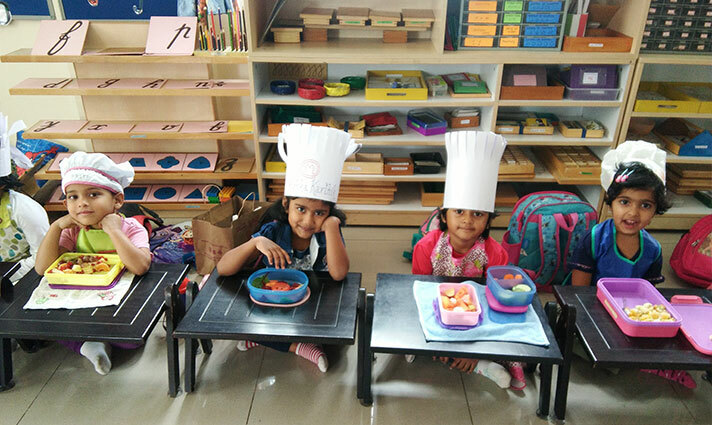 Watching the legumes swell up and sprout was a fascinating experience for them. 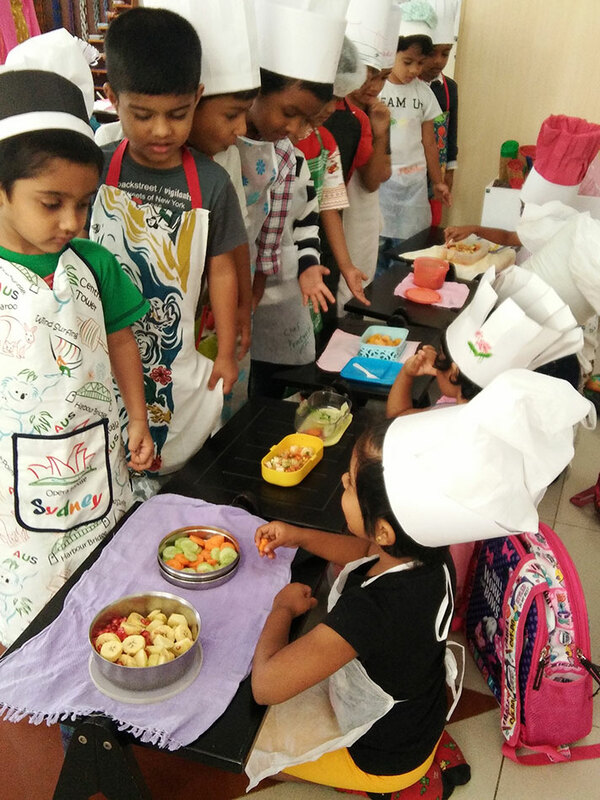 The children displayed their salad and eagerly explained in detail its nutritional facts and benefits. Walking through the rows of salads which were a colourful feast to their eyes, added to their delight. It was probably one of those few moments which caused young mouths water at the sight of a salad. 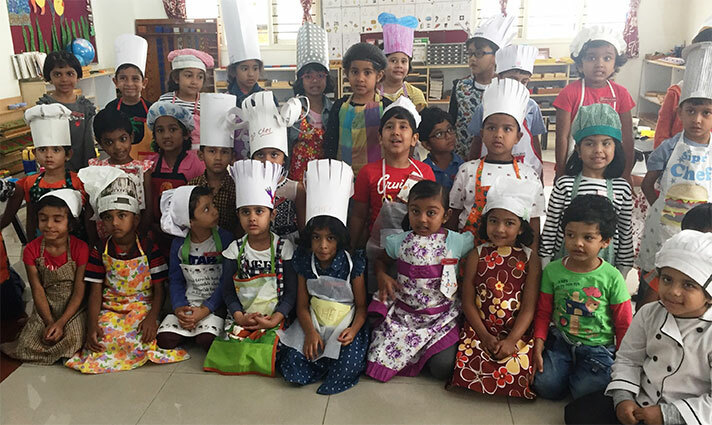 A heartfelt ‘Thank you’ to all the parents for making this event a memorable one.